The Bahamas! A prosperous Caribbean state which comprises of more than 700 islands is one of those states which import bulk quantity of used vehicles majorly from Japan. It is economically suitable for people of Bahamas to import used vehicles from Japan. Good per capital income makes the Bahamas a very suitable market for importing used cars. Continuously the popularity of Japanese used vehicles is increasing not only in the Bahamas but almost everywhere in the world. Japanese used vehicles are well known for their reliability; comfort and durability along with their affordable prices, which is the reason which makes you, see Japanese used vehicles on every road of the Bahamas. 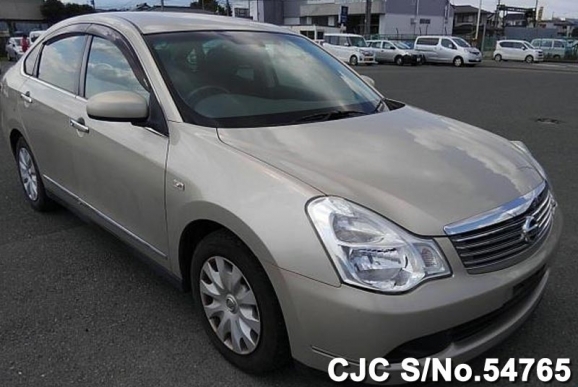 If you are also one of those who are looking forward to being a next importer of used cars so you should know that all individuals or businesses interested in importing one or more used vehicles from Japan or anywhere else in the world have to fulfil a number of requirement before claiming their vehicle. At the top of everything, all cars should be insured if you wish to import to them Bahamas. Every country and region has different import policies in terms of the age of the car. Age restriction for a used car is 10 years; car older than 10 years is not permitted to be imported in the Bahamas. Unlike conventional road-rides i.e. SUVs, Sedans and other cars, when it comes about importing heavy vehicles and caravans you need to seek special permission for that. If the vehicle imported from a right-hand drive country the headlights will need to be adjusted to dip left. Importation of Left Hand Drive vehicles is preferred in the Bahamas. Upon arrival, the vehicle must be taken directly to the Road Traffic Department for inspection and licensing. The major ports in the Bahamas which are used to park imported used vehicles from Japan are Freeport and Nassau. Both Ro-Ro method and containers shipments are equally preferred in the Bahamas. The intended use of the imported vehicle. The age of the vehicle. Typically it is 35% or higher. Import permit should be acquired from the relevant body, secondly, certificate of entitlement from the country of import, bill of lading and invoice are also important documents required during and after the process of import. Car Junction is one of the best and reliable used cars exporters. Car junction provides you with an economical stock of fully equipped Cars and heavy vehicles. If you need to inquire further about any vehicle or any other machinery so feel free to contact our online customer support representatives.